In the previous shed, I used a set of wall-mounted containers to sort and store consumables. I will be looking to recommission that system, but want to extend the arrangement, picking up on some of the point-of-sale systems in hardware stores. 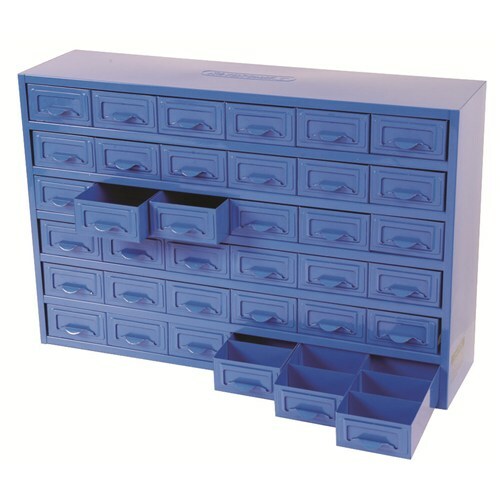 Bulky items are easy enough to find in the standard containers, but when you are looking to find a particular item visually (rather than by description), it is good to have a system that showcases the items clearly, so you can distinguish one item from another. 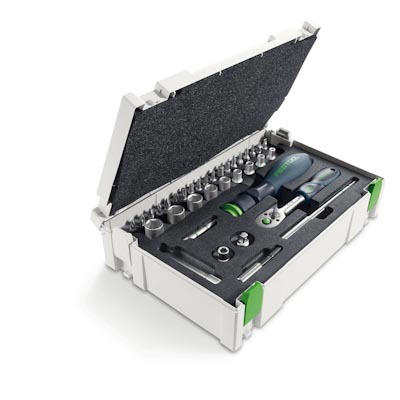 I found an interesting version at Total Tools, called Visi-pak, from an Australian company, Fischer Plastics. 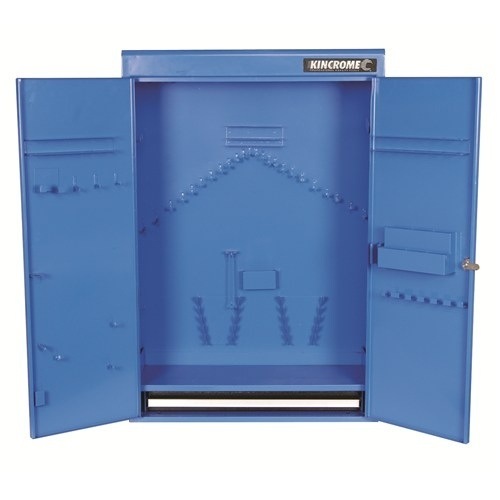 These are clear-fronted containers, that can either rotate to open and access the screws, or the whole container can be removed from the holder to be taken to the job. The system hangs on standard louvre racks, and rather than the plastic versions available, for only a little more, I chose a metal version instead. Over years, plastic systems sag. This may not be apparent initially, but in time they no longer site evenly. 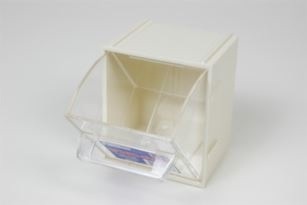 This may not be applicable to plastic louvre systems, but for the sake of $5, why bother finding out? 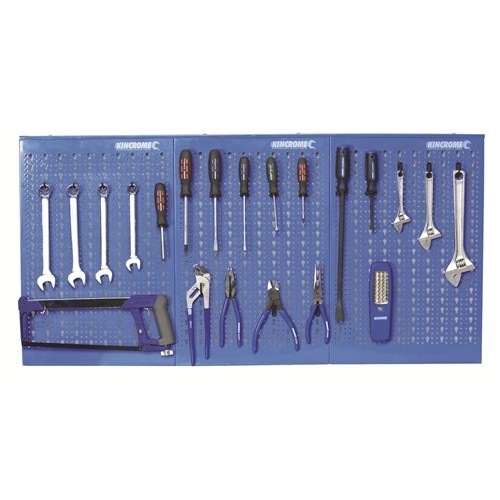 I’m also debating how best to store my spanners, pliers, vice grips etc. I used a shadowboard previously, and that may still be the best option. A tool cabinet would be nice, but they are horrendously priced. 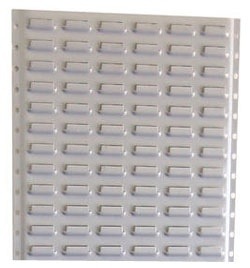 The other option (and this is looking a lot more promising), is a peg board, such as this 3 panel example. Rather than spending $500, this is around $60, including a bunch of pegs. 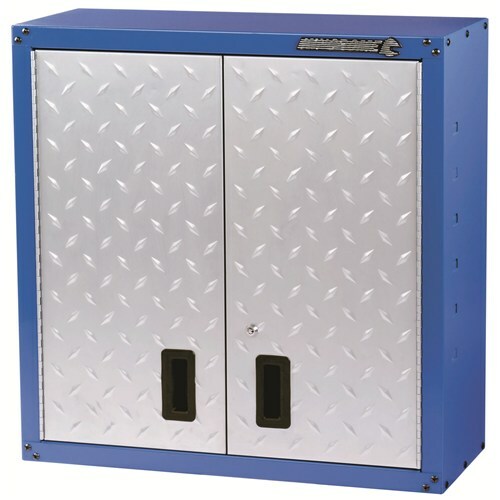 I have been looking for additional storage for a while, and came across the Kobalt cabinets in Masters. Despite being an in-house brand, they seemed pretty good on a number of fronts. Doors were heavy, cupboard depth was generous, and they looked good (and without fake boilerplate). Still, I ummed and ahhed a bit, and decided to measure the available space, and sleep on it- at $300 for a full cabinet and $170 for a wall mounted one, I wanted to think about it more. On the way home, stopped for petrol from a Woolworths station, and got a voucher on the receipt for 15% off at Masters. Then, while having a look online, discovered they were now on special- $169 and $149. Hoping they would still have stock, and that I would be able to use the discount voucher as well, I headed on down, and sure enough, got the cabinets I wanted at a really good price. While doing the very straight-forward assembly, I discovered something else- solid design, and a well thought out assembly method, with understandable instructions. Screws were preinserted in holes, ready for the final tightening after inserting into the relevant keyhole. That made assembly particularly easy, and quick. Now I just have to figure out what goes where! As you can see, the bar fridge got relocated as well, and the Walko workbench set up a bit better as well. Been having quite a few visitors through the shed in recent months – friends, family, work colleagues. One thing that seems to be a common feature of the visits are other’s opinions on what I should do with the shed layout, or products, and I do keep an open mind to these, as not only are they intended in good faith, they have regularly proved to be invaluable! And to be fair, I also actively seek them out – another set of eyes and source of ideas – many heads are better than one! And it isn’t always actual suggestions – just the act of showing people around has a habit of highlighting things to me that need addressing, or I can see a better way. Had Gordon Heggie around (of Triton fame), all rugged up against the cold as he drove his convertible with the roof down on a cold night 😉 and we were talking about storage (among other things, such as the TW7 😉 ). It encouraged me to relook at the storage (specifically the shelving), and I came up with the development of an idea. I still had shelves and brackets of the green metal bookcases, but no uprights. In Masters, I found some standard vertical posts with the typical slots cut. Got a couple hoping they would work, and sure enough, the brackets fitted (with a little manual encouragement). These got fitted to the shed wall near the lathes, and that shelving now gets to carry the chucks, jaws, and other accessories. 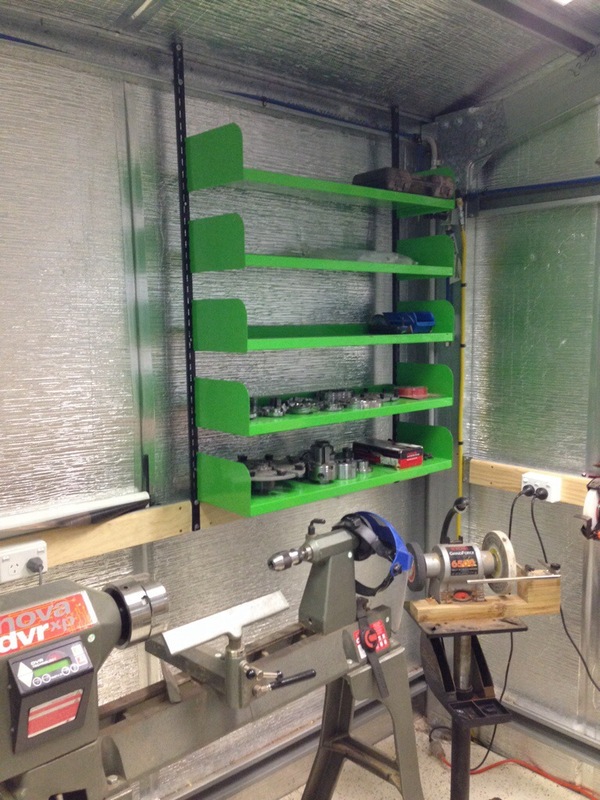 They are much closer to the lathes, and it frees up the other shelving unit for something else. I could fit a double bay of shelves, but want to keep the wall clear so I can store the range of chisels. So now I have a fair few empty shelves around the workshop. 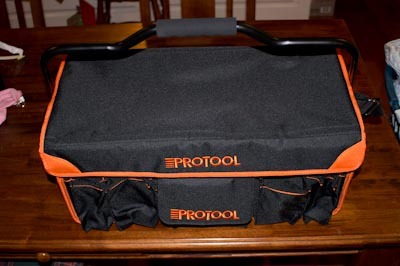 That will certainly make sorting out some of my tools etc much easier! Lots still in their storage boxes on the mezzanine floor, but I am regularly bringing down a box and (re)discovering what is inside, while looking for a new home. Slowly getting there. Happy about the shelving – it has worked out really well. The second part of the weekend effort was focused on creating the timber storage area. This is the final piece of the storage jigsaw, and (once the mezzanine is completed) it means everything can start to migrate to its permanent home. 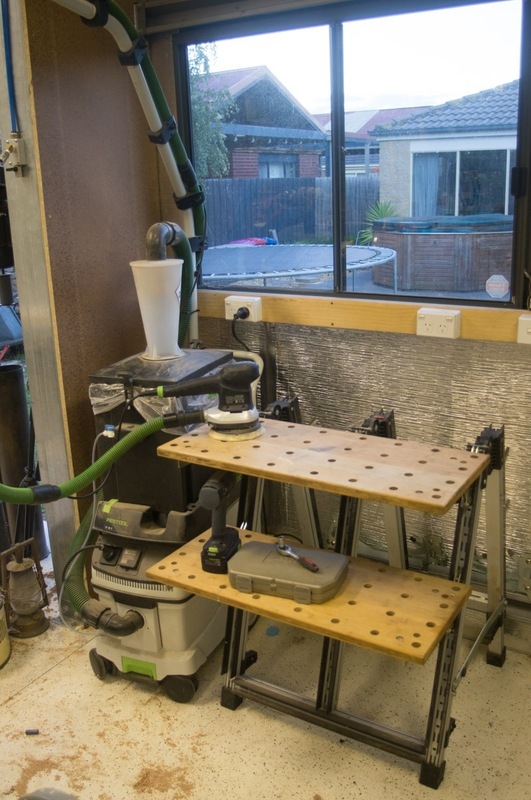 Oh, well not quite – there is the not-insubstantial issue of storage within the workshop, but that is (kind of) a different matter. The timber store is a big deal though – a dedicated storage area for everything from the smallest through to the longest, and the largest pieces. It is 6m long, 1.5m wide, totaling 9m2 of timber storage. Certainly not the biggest I’ve seen – Chris Vesper’s and Lazy Larry’s both still put it to shame, but that is ok – I wasn’t looking to create the biggest, or the best, just something that suits my needs. It has plenty of length, so long supplies will not be an issue, and sheet goods will have plenty of area to be laid out for ease of access. 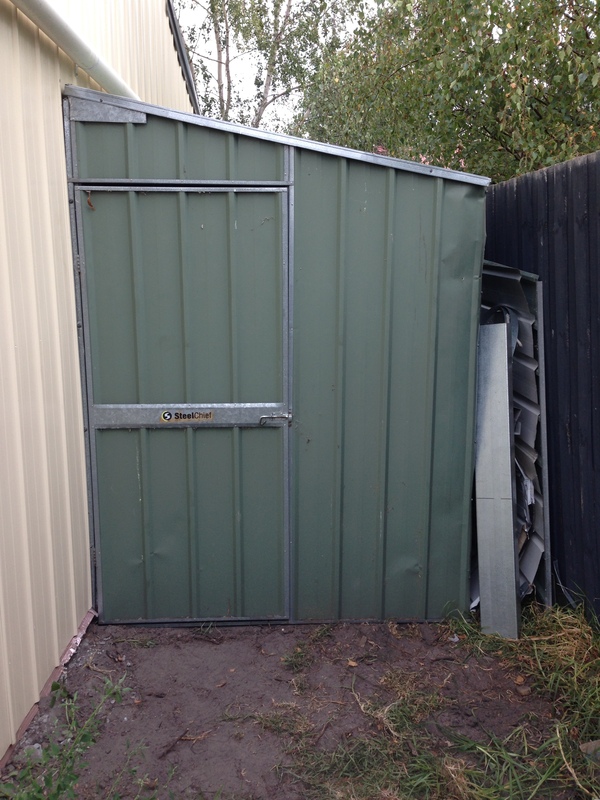 The materials for the store came from the original 3×3 shed that was taken down at the start of the workshop project. After slicing and dicing, (and with a bit of fudging), it has worked out pretty well. Alongside is a perfect little area for sheet steel etc – some of the leftover sheets from the workshop build. I was originally going to make the front out of the remainder of the steel from the workshop, but in the end the convenience of cutting the original front wall in half, and retaining the door (already fitted) won the day. Inside, you can get an idea of what I mean about storage. I am not sure how the store will go in bad weather – specifically leaks, and any water that may come under the walls. Things will have to be stored up off the floor (which is normal anyway), and on wood racks. I will have to go out there the next decent rain and find the main leaks to patch. Won’t be much – nail hole here, leaking joint there. In the back corner, you can see the external GPO fitted to the back corner of the workshop for the air compressor (which will also go in here). Even the pallet jack has found a home. I am very pleased how it has worked out. Probably won’t do much with the floor – perhaps some pavers that I have spare. I might do the same as I have in the other shed, but it is not a priority at this stage. It was not much of a start to be honest, it was only one box unpacked, but it is a start never-the-less. The next challenge is certainly looming: just where to put everything! Not that these are troublesome issues per say, solving them is part and parcel of getting the workshop into an ever improving functional condition. The first box was the easiest – saving challenges for another day I suppose! Reason it was the easiest? Full of MagSwitch featherboards, fences and hooks. Finding storage for them is pretty straightforward – find the nearest steel beam to where you’ll need to use the item, and lock it on. If only all the tools were that easy! 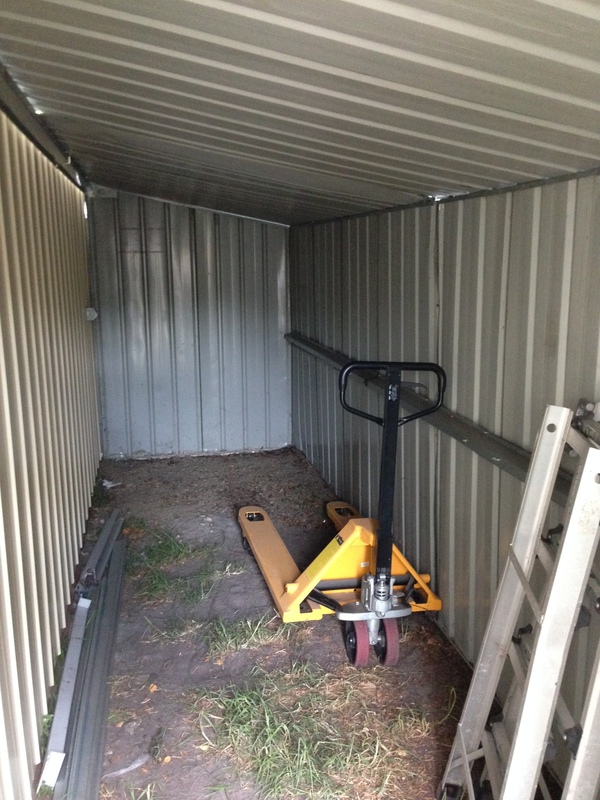 Having plenty of floor area is not the only thing needed for a good shed – having storage is as important. 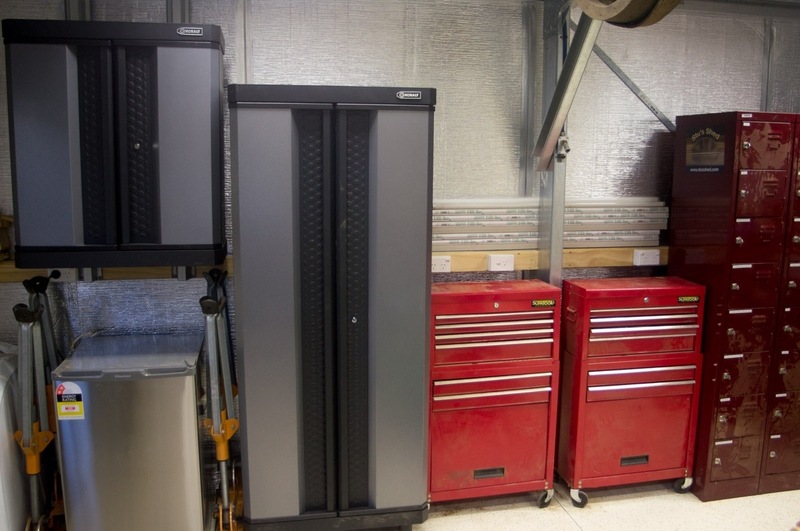 To save as much floor real estate as possible, I will be looking as much as possible to wall mounted cabinets – getting them up off the floor, and above any infeed and outfeed areas of the machines. Something along these lines. Especially the one with check-plate! Watch this space – it is a long journey! 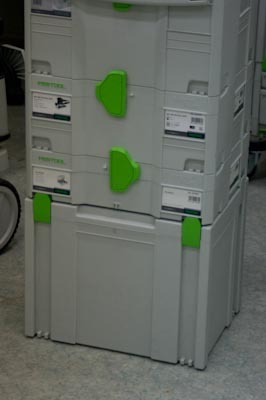 Some more of the products demonstrated at the Press event at Festool included storage solutions. 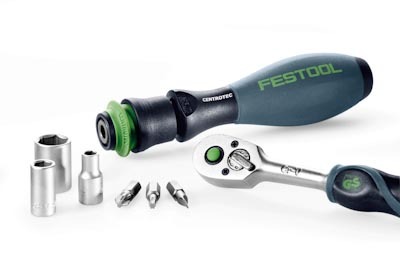 The first, and very readily associated with Festool are the Systainers. They have received an upgrade from a 4 point attachment system (front and rear, to a single point for operation, called the T-Loc. The rear of the Systainer engages along the length with the Systainer below it, but the only locking mechanism is the one central point at the front. The system has partial compatibility with the older Systainers- they can connect to the bottom of the new ones, but not to the top. 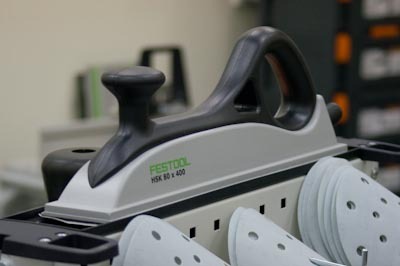 There is also no version of the T-Loc systainers for the larger tools – specifically the BS 105 belt sander, which comes in a systainer twice the width of a normal one. 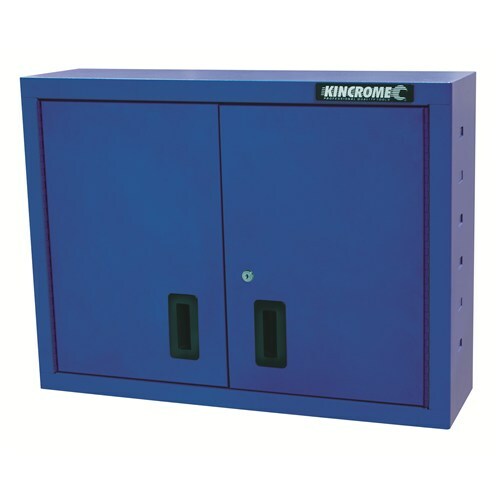 There are some distinct advantages to the new systainer locking system – the ability to couple and uncouple the stack with a single twist of the lock. That is good, but even better is the ability to open a systainer without first having to remove the stack that is on top. In the background, you can see another advantage of the new systainers – an optional handle that can be attached to the front as an alternate carry position. The same slots where the handle attaches can instead be used for identification cards to show what is inside the systainer – no more of the labels stuck to the sides and top that fall off over time. The top edges have a heavy bar supporting either side, and a metal handle screwed to the top, that can pivot out of the way when required. 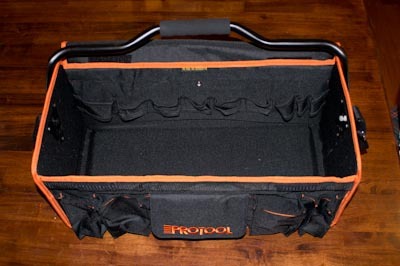 Lots of storage inside too – this is a cool tool carry. 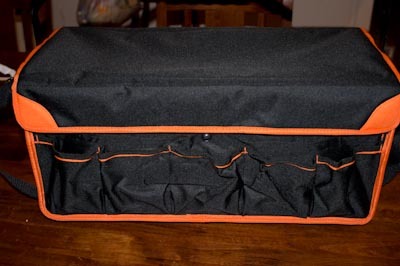 Even the storage box has been put to good use – is now a doll hospital bed my daughter is using! 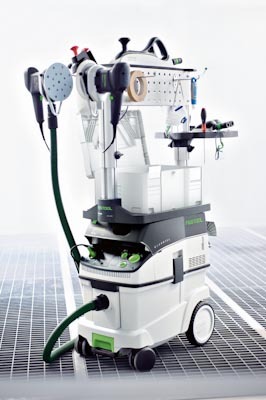 While dealing with storage, there is also the mobile Compact-Workstation that attaches to the top of the Cleantex (Festool Vac), such as the CT36. 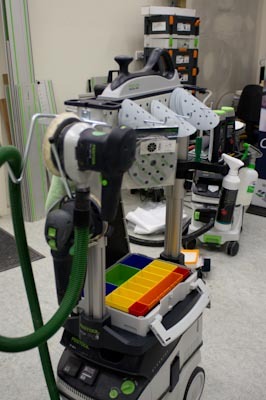 This provides a very compact storage – taking up the same footprint as the vac itself. It will still attach if the boom arm is fitted (so I was told anyway). 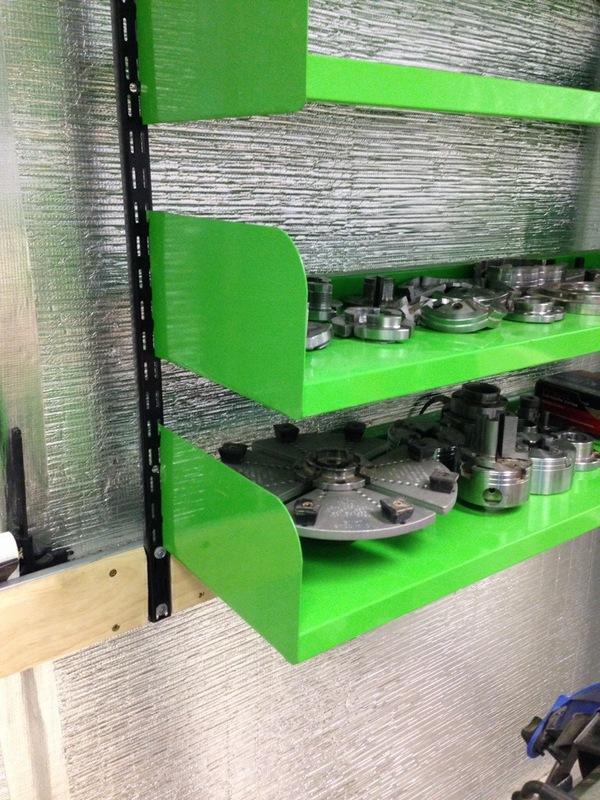 It provides a stack of storage options, trays, tool storage for those ready-to-use, and can still fit a systainer on top of the vac. 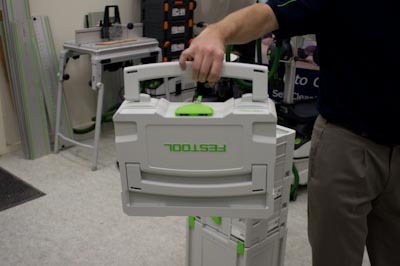 Even the arguably strangest tool in the Festool stable, the hand plane block with dust extraction has a home, and also happens to act as a bit of a lid on top of the unit. 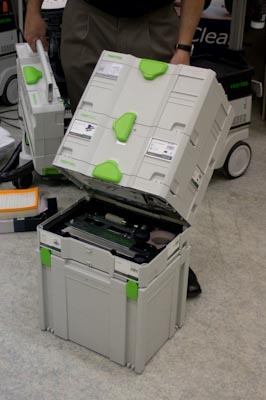 Finally, while still on the storage bandwagon, this wasn’t introduced as part of the morning, but I can’t help but like the inter connectivity and tidiness of the systainer solution.